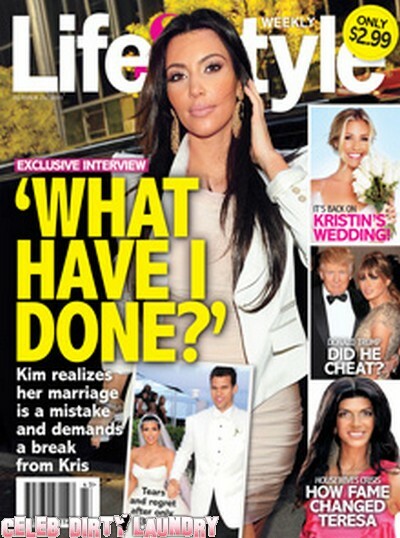 The October 17th, 2011 issue of Life & Style magazine‘s cover story is featuring Kim Kardashian and “What have I done?’ The magazine claims to have an exclusive interview saying that Kim realizes her marriage is a mistake and wants a break from Kris Humphries. 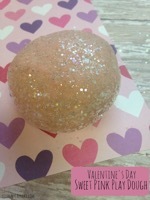 Rumors have been circulating for a couple of week’s now that there is trouble in paradise. Why do I think that exclusive is not from Kim but from an insider? Kim and Kris got married in front of hundreds of guests in Montecito, California on August 20, 2011, but rumor has it that things aren’t going as well as they planned for the newlywed couple. Reportedly, public appearances are starting to interfere with their personal lives and happiness. They are constantly surrounded by the paparazzi, which is something that Kim obviously loves. Kris is said to want out of his marriage to Kim because he’s sick of her whining and overspending. I’m still a firm believer in my theory that their entire relationship was orchestrated by the Kardashians in order to milk E! for all the money they could generate from the show. What about you, do you think this is just another step in Kim’s quest to be relevant or is this just Life & Style trying to sell more magazines? If you need to find out more details, pick up the current issue of the magazine! OK! Magazine: Exclusive Interview, Kim Kardashian Weds!